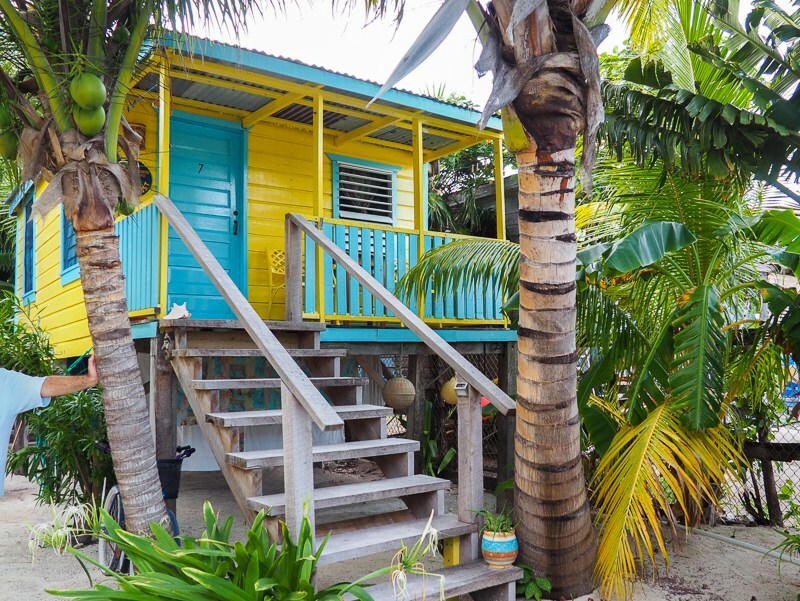 Where to sleep in Caye Caulker? 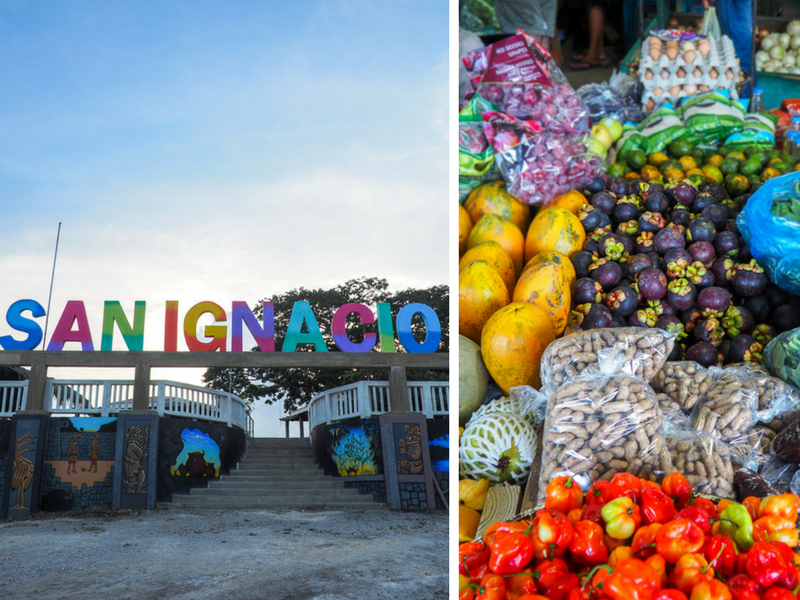 Where to sleep in San Ignacio? 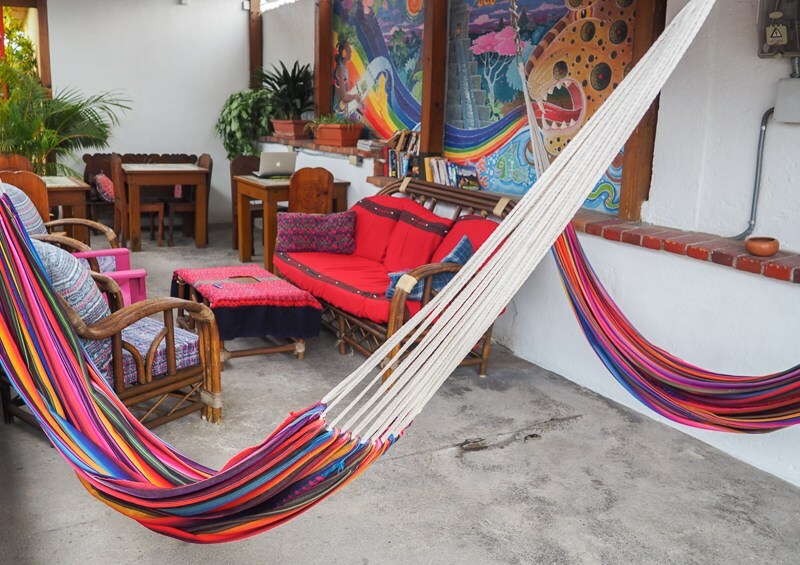 Where to sleep in San Pedro la Laguna? 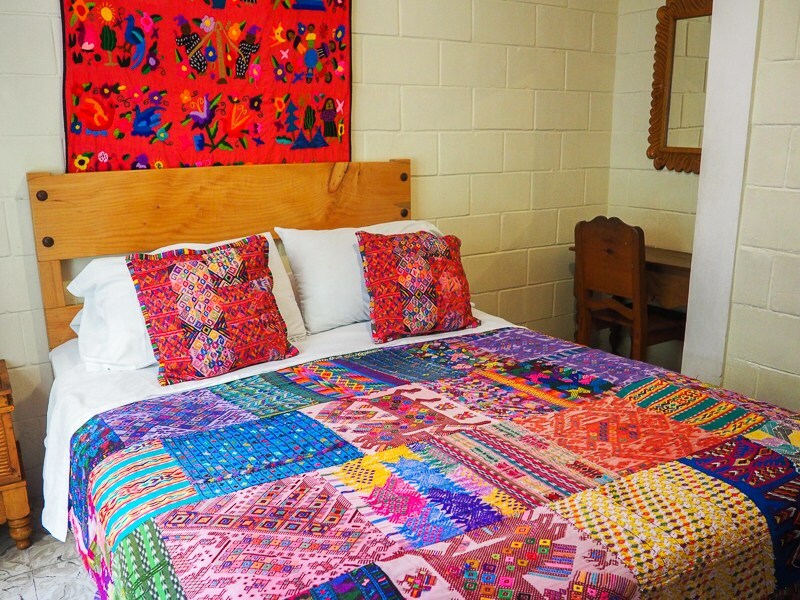 Where to sleep in Panajachel? To be honest, I decided to visit Belize by opportunity, just because it is next to Guatemala. Best decision EVER. I had no expectations and was delighted by the landscapes and people! As the Caribbean has had “small” problems recently. I highly recommend Belize for your vacation in the south! And for a little more adventure, combine your getaway with the visit of Guatemala. I present you my complete itinerary of two weeks in these two countries, reviewed and corrected post-trip so that it is even more effective for you than it has been for me! First tip: Do not leave where you came from. The flights are a bit more expensive, but you will save a lot of time and cost of local transport. 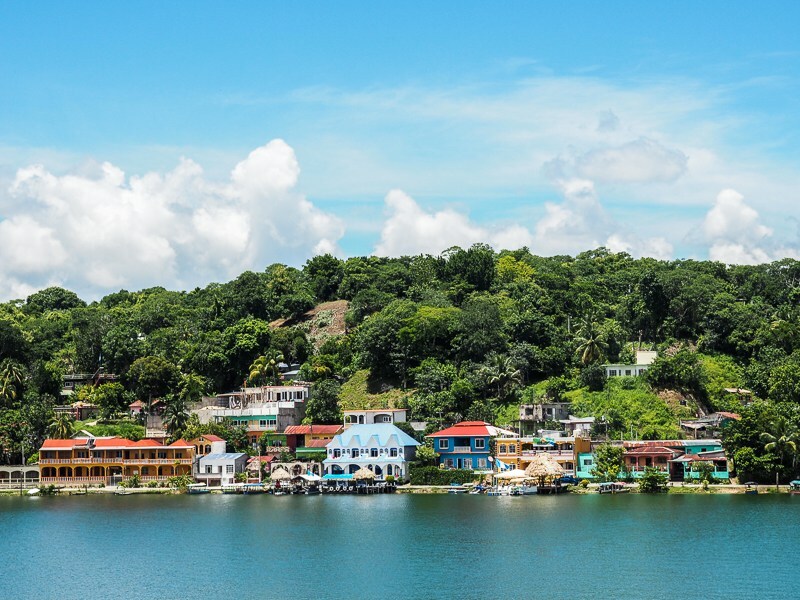 Of course, there is more to see in Belize and Guatemala than what is possible to visit in 14 days, but this route will take you to the most striking points of both countries , IMHO. At the time of writing this article, no direct flights are available from Montreal to Belize City. However, a short stop in Miami or Mexico City makes getting to the capital easy. 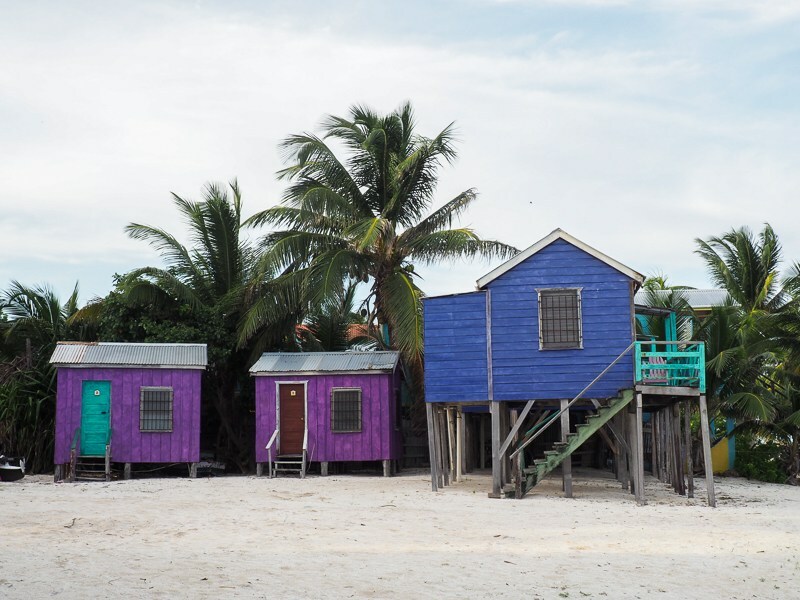 Besides taking my picture with the famous sign “BELIZE”, nothing interested me particularly, so I took the Water Taxi directly to go to the island of Caye Caulker (pronounced Quai Caulker) and give me transportation. Count around 50 Belize Dollars for a round trip ticket with San Pedro Belize Express . The trip takes about 45 minutes. Not quite a budget accommodation, but very accessible all the same, the cabins of Colinda Cabanas made me crack. These small yellow houses are clean, well maintained, have direct access to the ocean and two fans for hot days. It was my little piece of paradise and I almost shed a tear when I left. For mobile workers like me, I confirm that the wifi works perfectly! The island is heavenly for backpackers: the cost of living is not too expensive, restaurants and grocery stores are accessible, and as the island is 8km2, you can practically reach the grocery store with your arm while sitting in your hammock. Super practical! Cars are forbidden and you will only meet golf carts as a taxi. This is the perfect playground for renting a bike, going on a nowhere and taking pictures of the colorful houses that are found all over the island. The most popular activity in Belize is diving, whether snorkeling or underwater, and with good reason! The second largest coral reef is a short boat ride from Caye Caulker Island. 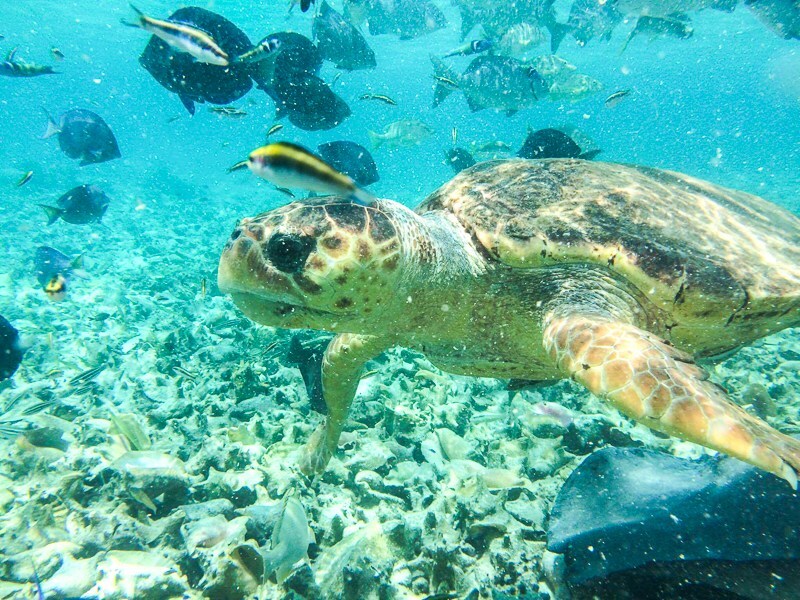 In addition, tons of tropical fish, turtles, rays … and sharks feed on the reef! I had never seen as many marine species as during this dive. I did business with Caveman Snorkeling Tours. Good first in the list of recommendations on TripAdvisor, I confirm that they deserve their place! Not only do they have great respect for the marine fauna, but the guide we had knew how to respect the limits of people taking part in the dive, knew the reef and its fish by heart, and was very friendly. 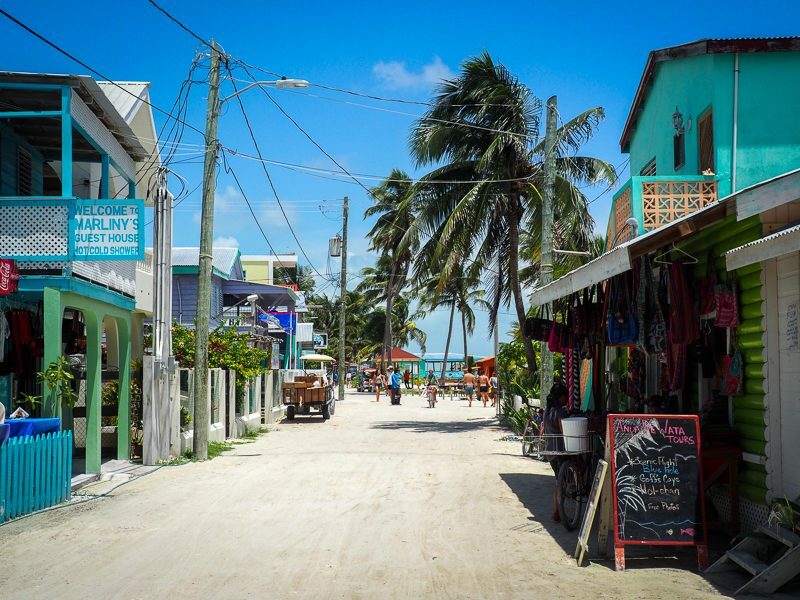 Although I would understand if you decided to stay all your life on Caye Caulker, you should continue your route to San Ignacio, on the border of Guatemala. 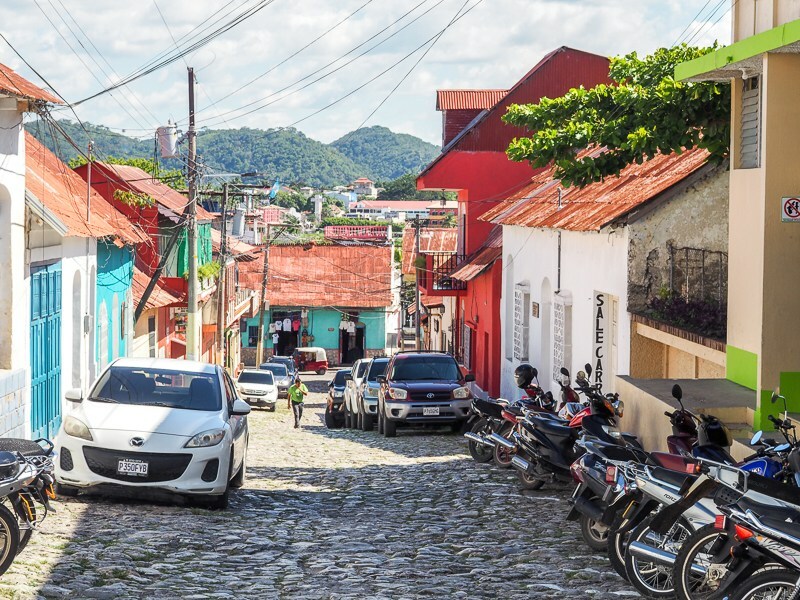 Small town without charm, its strength is especially to be near the rainforest and tons of activities that it is possible to practice. The shuttles connect Belize City and San Ignacio few times a day. You can buy your ticket directly at the water taxi station, from where the departures take place. Allow about 3h30 to get there. If you want to make the road in chicken bus , it is also possible, from the central bus station. Take a taxi from the water taxi. 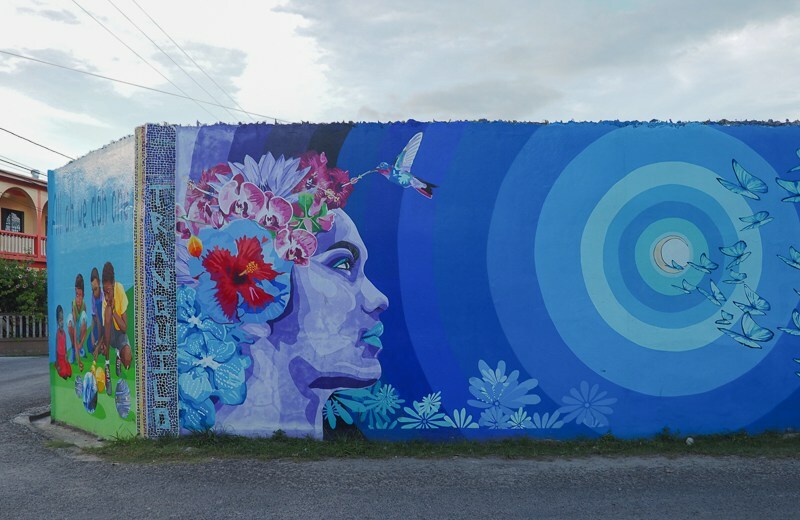 In San Ignacio, you can still see some street art and visit the market. With the heat, my number one criterion was to find a room with air conditioning. So I chose the Cahal Pech Village Resort . The rooms are very clean … and what matters is the air conditioning! I guarantee it! Haha! 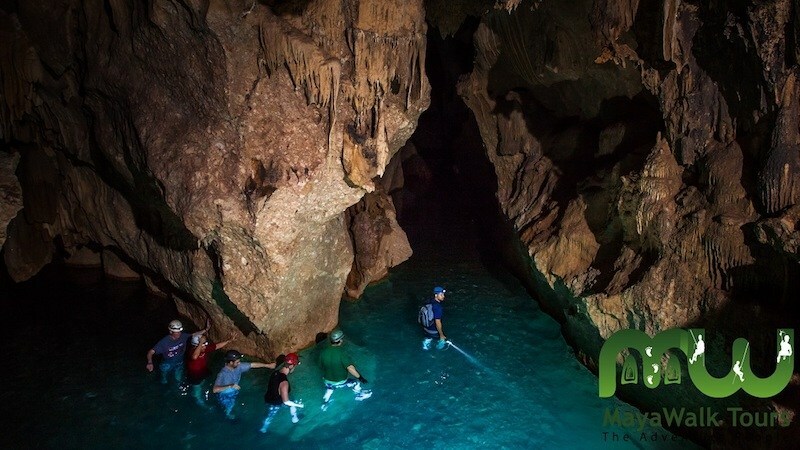 The main reason for our presence in San Ignacio was the trek in Actun Cave Tunichil Muknal, nicknamed ATM Cave … for Another Tourist Missing. But no, I’m kidding! In this cave located in the middle of the rainforest, the Maya made an appointment to make sacrifices and rituals. 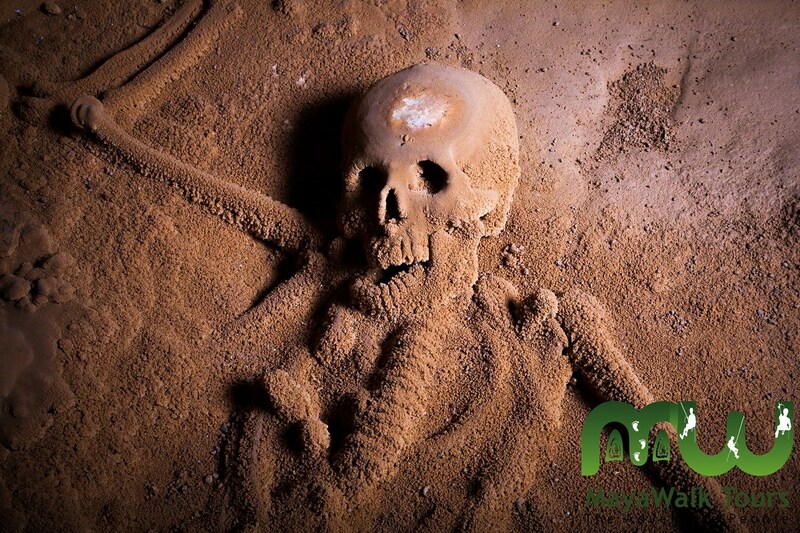 Preserved in the same position they were found, you can see artifacts and even skeletons. The crystalline water of the cave is refreshing and the limestone formed on the rock walls makes everything sparkle. Sincerely beautiful, it is the activity that deserves my second favorite! It is mandatory to be accompanied by a guide to make this hike of about 5 hours, in the forest and the cave. In addition, since a tourist broke a Maya skull while escaping his camera, the government of Belize forbids anyone to bring anything with him. Only the guide can have a drybag in his possession. We are so used to taking pictures of everything that I have to admit that it was both frustrating and a great relief. I was able to focus on the present moment and live the experience thoroughly rather than thinking of taking everything in pictures. Fortunately, Maya Walks , with whom I did business, agreed to share photos with me so that I could give you an overview of the activity. So this is where I change my route. Personally, I immediately left for Flores, but after reflection, I advise you to stay for the morning, the time to do Cave Tubing . Sitting on inflatable tubes, you are carried by the current through caves and caves. The tourists I met who had done it all loved it! Then, direction Flores, Guatemala. To cross the border, do not panic, it’s super simple. Take a taxi to the border and walk there. 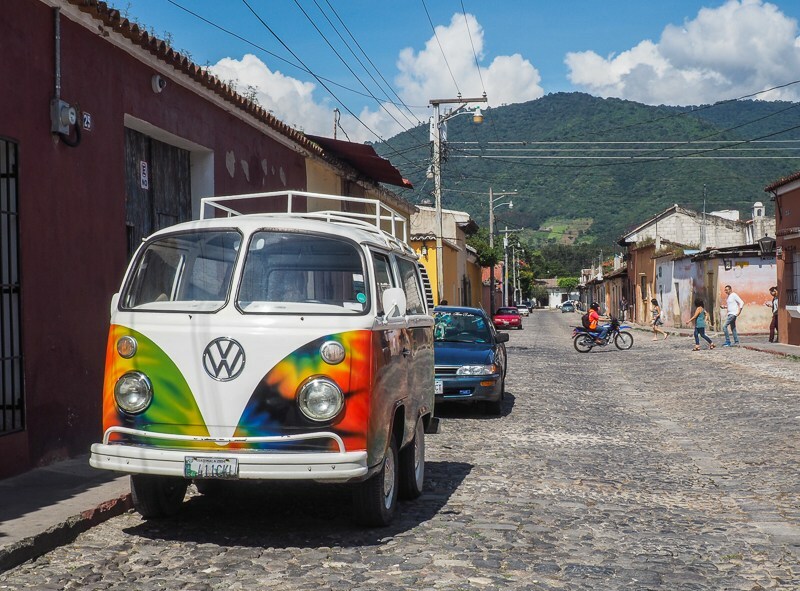 Then, take a transport on the side of Guatemala, and continue on your way. Remember that there are exit fees of 40 Belize Dollars to be paid upon leaving. 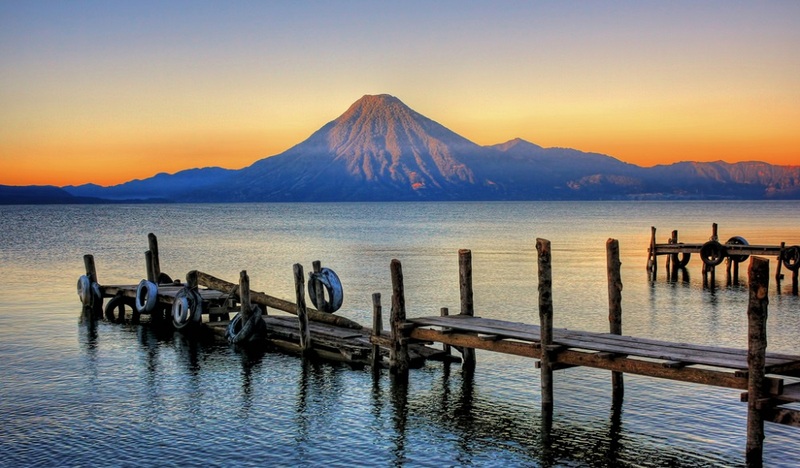 No fees are required to enter Guatemala … although some customs officers give themselves the freedom to ask. Generally, if you ask to see the VISA form, it reminds them that there is no entry fee. Count around 2h – 2h30 to go to Flores en Collectivo, these mini-vans collective that crisscross the streets. You should easily find one, as they wait for tourists as soon as you cross the border. Make sure you do not pay more than 50 Quetzals per person. Once arrived, explore the pretty town of Flores for the rest of the day and stock up on health food at my favorite restaurant, the San Telmo! A little luxury does no harm to anyone, especially when it only costs $ 55 a night. So I chose Hotel Sabana for its pool and sun loungers. A real princess I tell you! The majority of travelers who visit the Maya site of Tikal live in Flores. It is therefore very easy to find towers that leave from the small town. 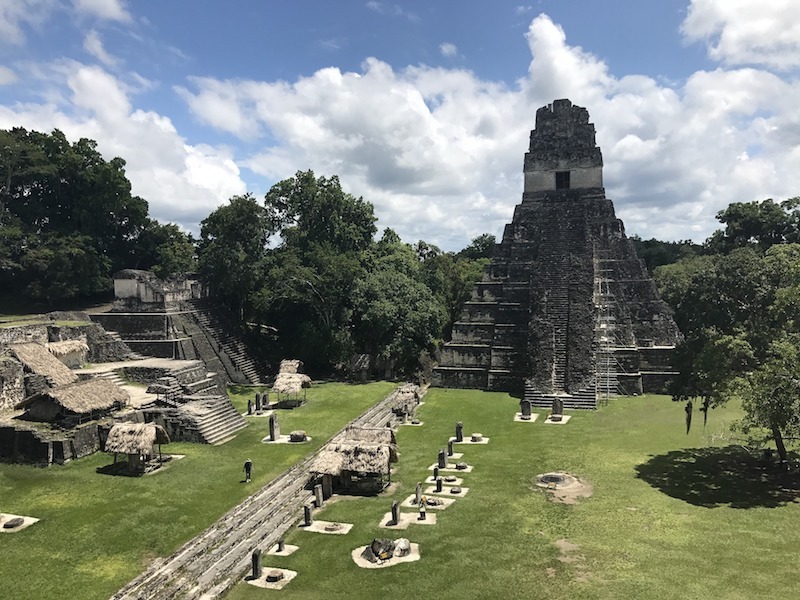 As I wanted to learn more about the Maya, I decided to go for it all and hire a guide to visit the site. Unfortunately, the guide I had was boring and I did not learn much. Difficult for me to tell you if it’s generalized or if I missed luck! 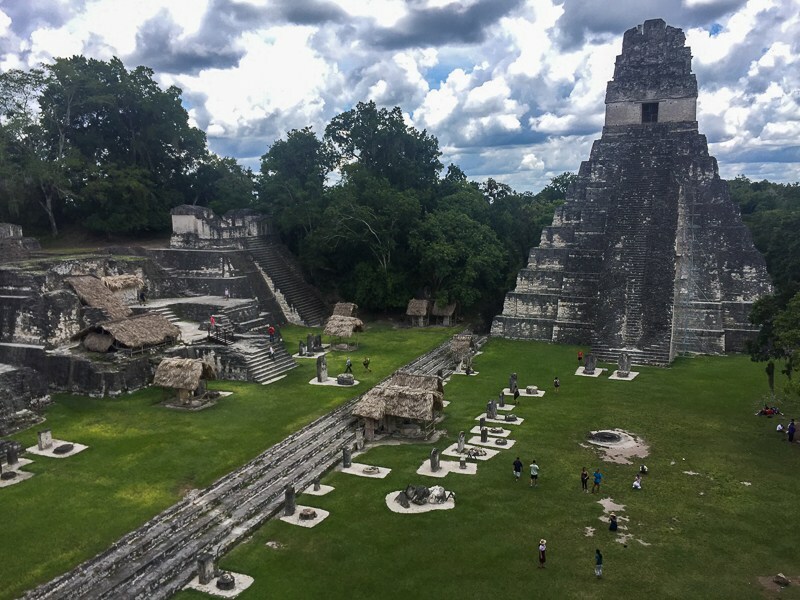 The site of Tikal is huge and it is very hot with humidity, as it is in the rainforest! Plan lots of water, light clothes and good shoes. Leave early, as it is less hot in the morning. We took about 6 hours to visit the major pyramids of the site. 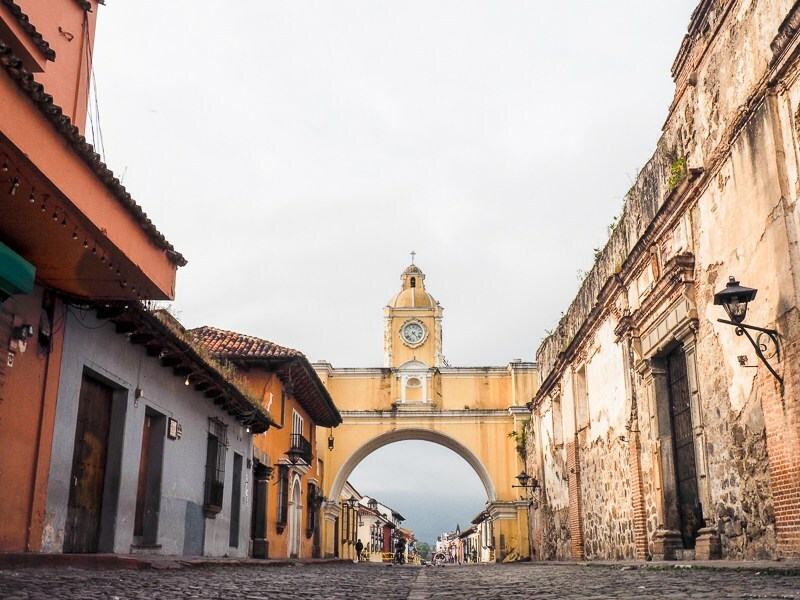 To reach the charming colonial city of Antigua, it takes about 14 hours by bus. The good news is that you can make the night journey, which will save you a hotel night! The departure is from Flores and you will have a transfer to Guatemala City. Do not put too much pressure on your first day in Antigua, as you will have spent the night on the bus. 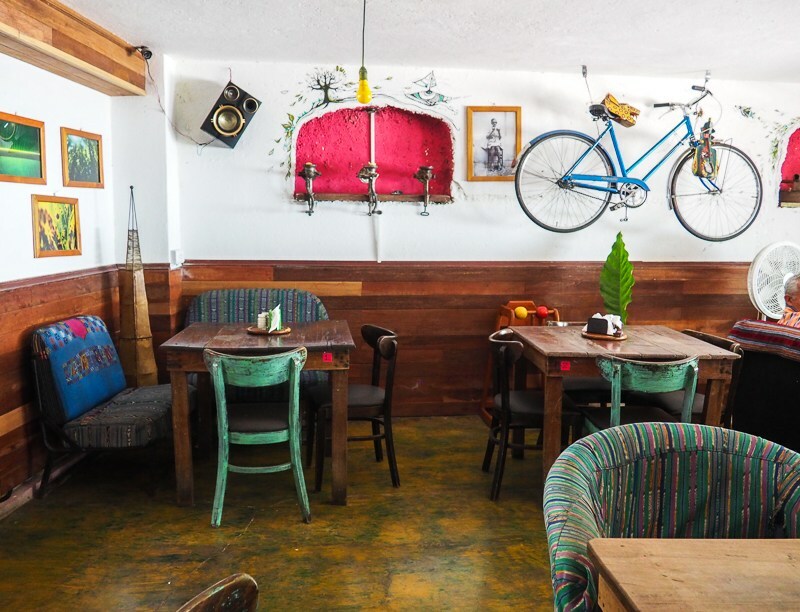 Enjoy the delicious cafes of Guatemala, find a terrace and stroll through the streets of the city. Second favorite room of the trip to the Yellow House (or Casa Amarillo) of Antigua . The staff is friendly, the rooms are clean and carefully decorated, but it is the breakfast that steals the show. At will, you will have omelets or breakfast burritos, including fruit, coffee and hot chocolate. I think this is the best breakfast included with a room I’ve seen in my life, plus you can enjoy it on the beautiful roof terrace. Can not go to Guatemala without hiking on a volcano! … well I must make an admission, the day we had planned for the rise of Pacaya volcano, I was completely overwhelmed with work! I had to give up. It’s part of the risk of being a nomadic worker. If you plan to climb this volcano, departure is from Antigua around 6:00 am. You will be back in town around noon. It is an accessible hike, which has a good climb at the end, I was told, but is relatively easy when we go at our own pace. 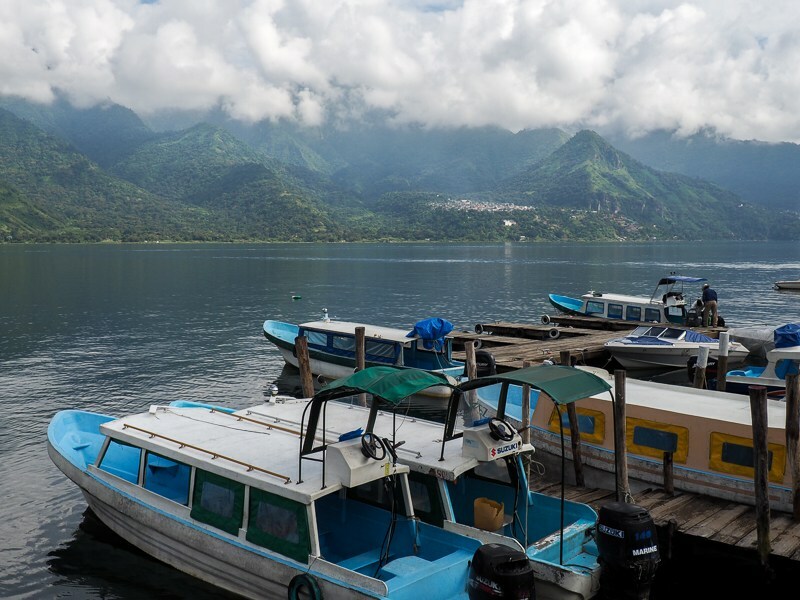 Getting to Lake Atitlán from Antigua is a challenge if you have motion sickness! At least, it’s not very far. 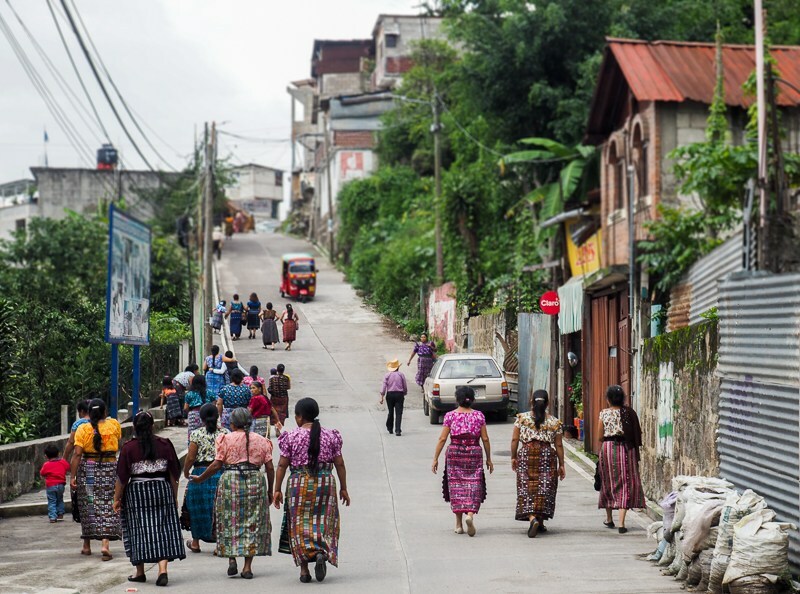 It will take you about 2h30 to get to Panajachel, the village that serves as a gateway to the region. I often see articles about Lake Atitlán as one place. There are actually twelve villages around the lake, and they are all very different from each other. For my part, I chose San Pedro Laguna as a base camp, since I wanted to climb the Indian Nose and I knew that several guides started the tour of this village. To reach San Pedro, take a taxi boat. They leave when they have enough passengers, but I have never waited long. 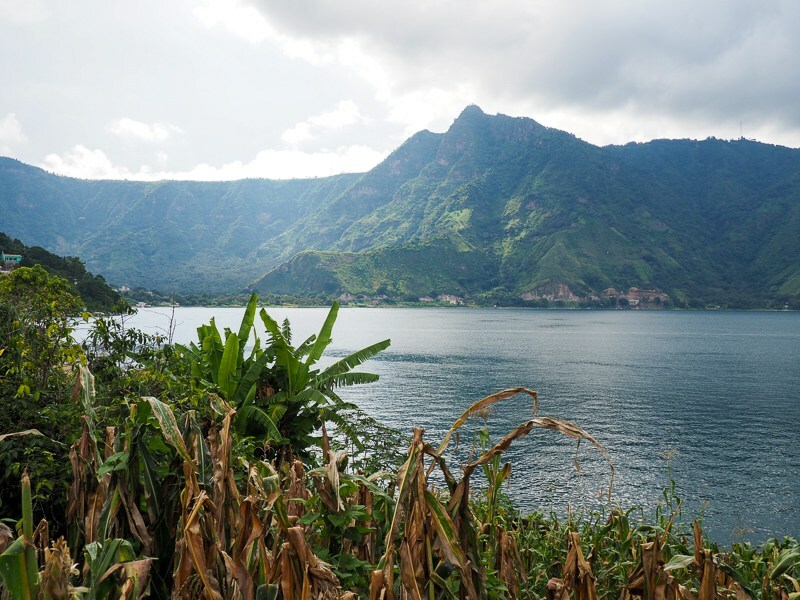 Lake Atitlán is beautiful and when you are at the water level, you can see all the villages around. Take the opportunity to go for a kayak ride! Tons of places rent. I do not make any recommendations for accommodation in San Pedro, because the one I chose was horrible. Sincerely, he qualifies for the worst accommodation I’ve been to, all destinations. However, friends of mine chose Hotel Mikaso and they were very satisfied. In addition, it is environmentally certified and fair accommodation by Village Monde. To enjoy the sunrise at the top of Indian Nose, you have to leave the hotel at 3:45 in the morning, but I assure you, it’s worth it! After about thirty minutes by local bus, you will begin the ascent. I strongly advise you to go with a guide because the trail is really not easy to find, and we were opened the road with a machete in the foliage a few times. The climb is quite steep, but again, if you take your time, it is accessible to all. At the top, we can see clouds covering the summits of volcanoes. It’s of all beauty! And if you are lucky like me, your guide will have brought coffee! Back in San Pedro around 9:00, you will have all day to explore the village (after a big lunch and a nap!). Leave without a route, lose yourself, greet people, smile! Life is sweet in San Pedro and the locals will say hello to you all. For your third day in the Lake Atitlán region, explore the village of San Juan. Right next to San Pedro, you can go there by tuk-tuk, but I did it on foot. On the other hand, there are good ribs to climb! San Juan is known for its work cooperatives. 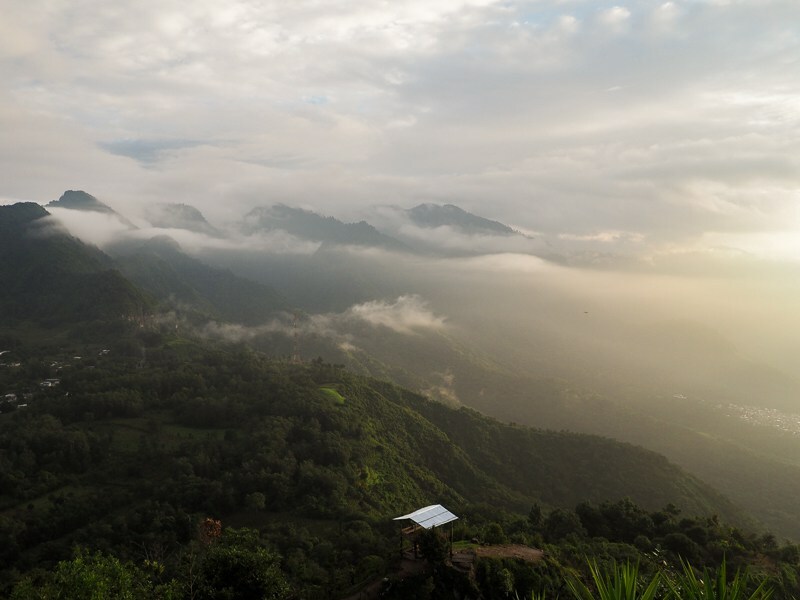 This is where you can visit coffee plantations and weaving workshops. 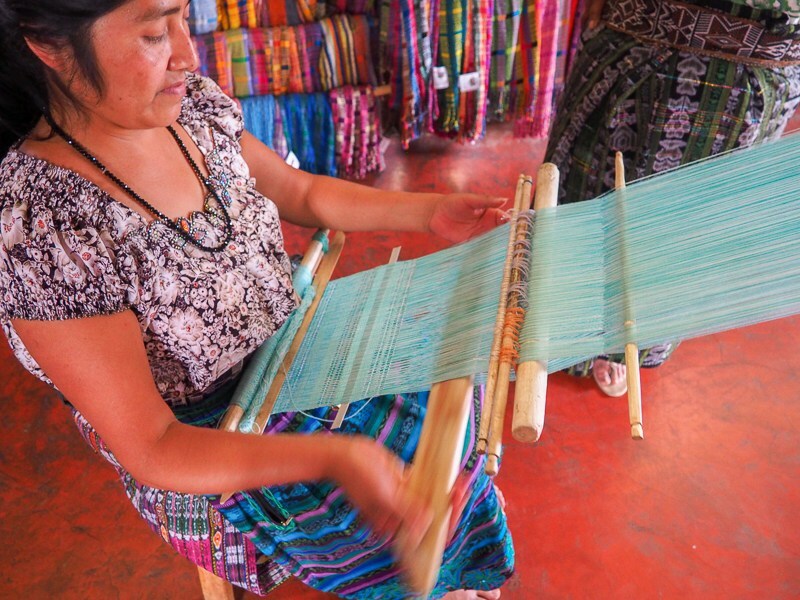 You will discover the manufacture of traditional skirts worn by almost all women around Lake Atitlán. 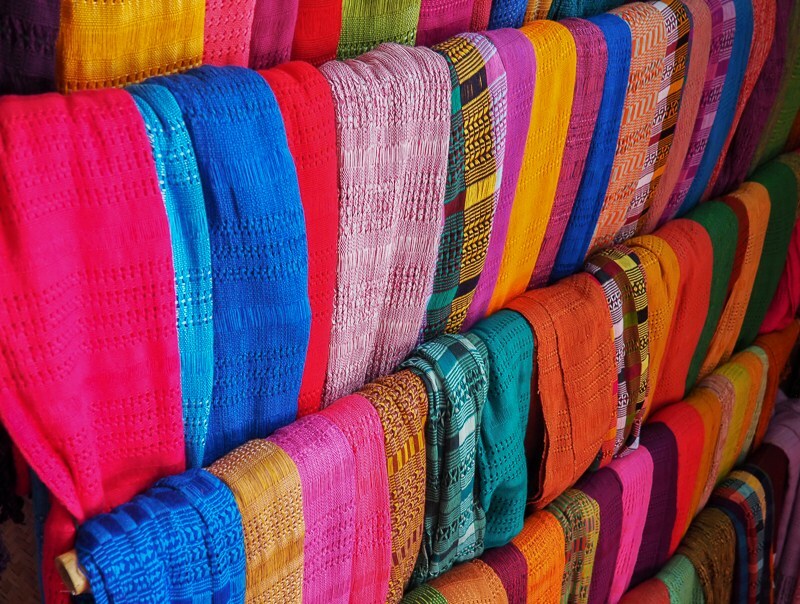 If you want to bring back a souvenir of Guatemala, you will find it in Panajachel! Merchants line up next to each other on the main street and you have all the traditional items and clothes at your fingertips. Although it is a very popular place with backpackers, I have a mixed opinion about Panajachel. Less authentic than the other villages around the lake, it is more for a clientele looking for luxurious accommodations. I was very lucky because my visit to Panajachel coincided with the Independence Day of Guatemala on September 15th. The fanfares and parades have invaded the streets! 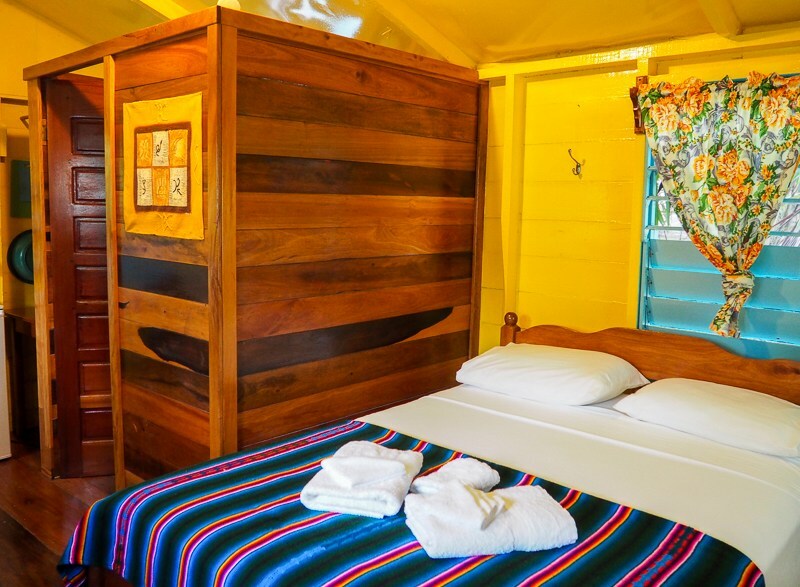 Depending on the time of your flight the next day, you can decide to sleep in Panajachel, or return to Antigua. However, I do not recommend the city of Guatemala City, which is dangerous for tourists. My hostel in Panajachel, the Hospedaje El Viajero , was very well, run by a smiling Guatemalan, and located in an alley sheltered from the noise of the main street. There you go! Take a taxi, shuttle or bus to Guatemala City airport! 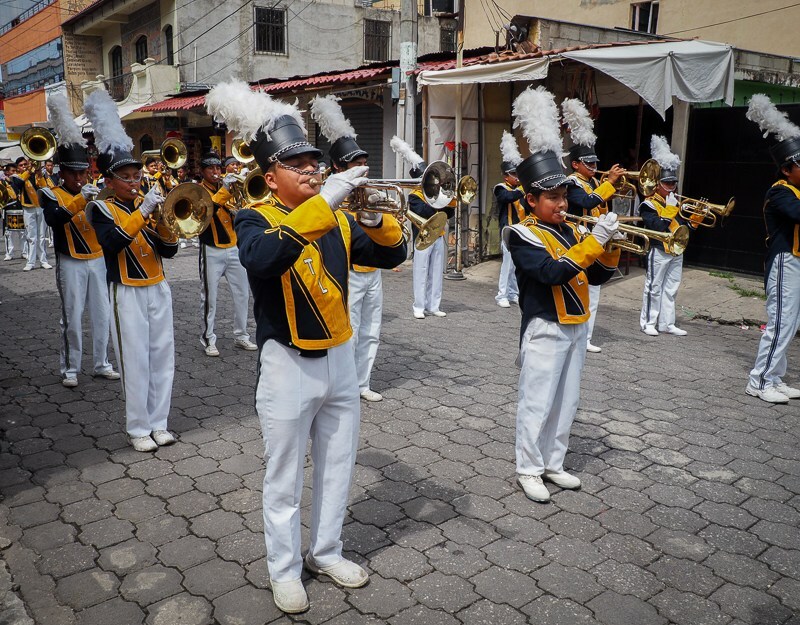 As usual, arrive about 3 hours before your flight, and plan ample time for transportation, as traveling to Guatemala is always a little uncertain! I hope my itinerary has been helpful in planning your trip to Belize and Guatemala. Do you have any suggestions or questions? Leave them in comments under this article!